No one had the slightest doubt that Eli Mollineaux was smiling as he looked down to watch last Friday night’s basketball game that played out before a crowd of 1,000 in Louis D. Giani Gymnasium. 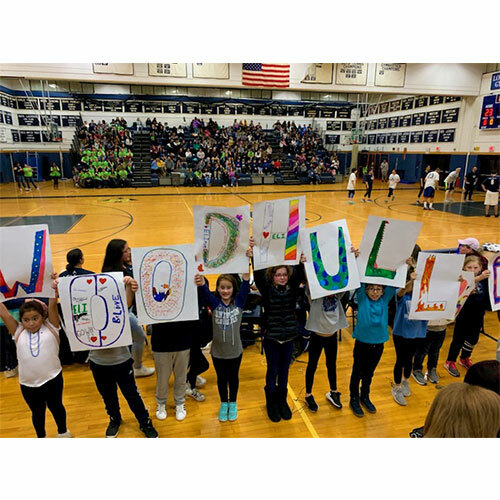 The Woodhull Intermediate School student council is comprised of a spectacular cross-section of students who all possess the same overriding goal: to make the building a better place for everyone. 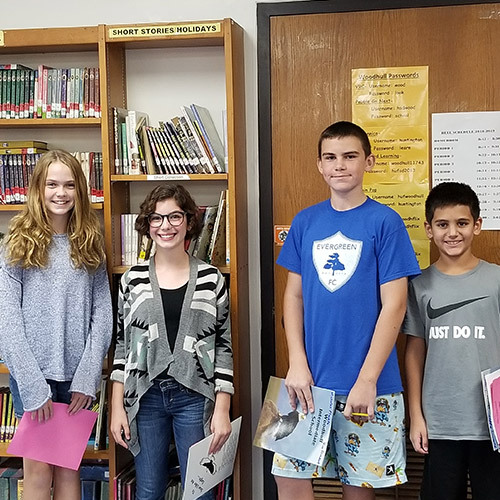 The classrooms at Woodhull Intermediate School have some of the best young writers in the town, if not Long Island. 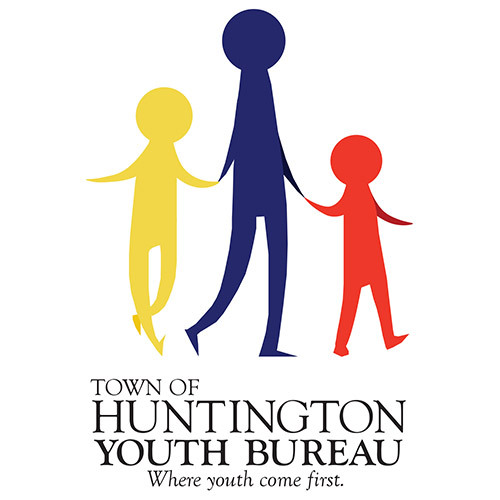 Four of the youngsters recently won honors in the Town of Huntington Youth Bureau Project Excel’s annual writing contest. Woodhull Intermediate School is a happy and nurturing place where children are encouraged to be all they can be. It has been providing youngsters in the community with an outstanding education since opening in 1967. 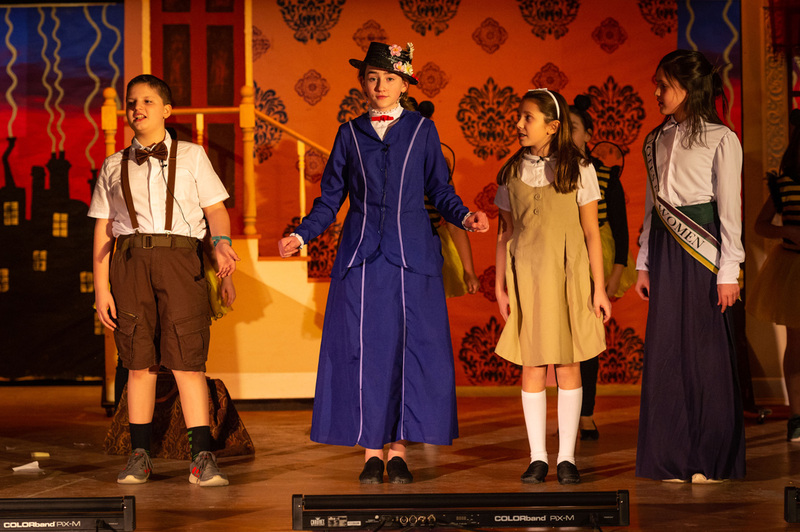 As a multicultural school that stresses interdisciplinary learning and technology, Woodhull enriches academic offerings with creative vocal and instrumental music and visual art programs. The district's arts in education program calendar complements education at each grade level throughout the year. Leadership and the importance of maintaining a healthy body and an active life guide exceptional instruction in the areas of health and physical education. The faculty and staff work diligently to provide positive examples for all students by setting high expectations and attainable goals. Responsible citizenship is encouraged throughout the year by annual food and clothing drives and benefits for recognized charities. At Woodhull, parents, teachers and support staff work as a team to develop social awareness and academic excellence and students are intellectually hungry and excited about learning. 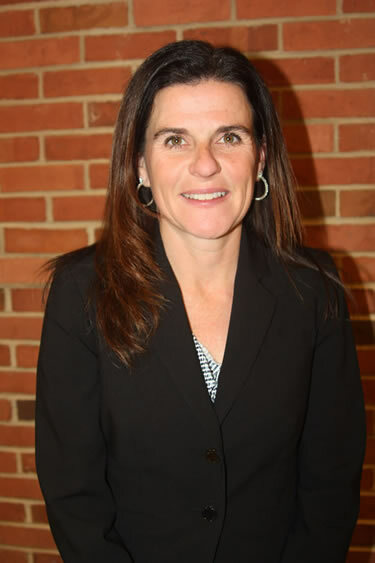 Traci Roethel has been principal of Woodhull Intermediate School since February 2014. 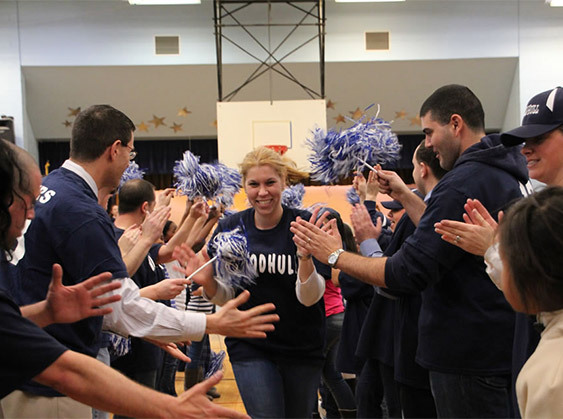 She earlier served as assistant principal at Candlewood Middle School in Dix Hills since 2010. Mrs. Roethel earned a Bachelor of Arts degree in elementary education at Stetson University in Florida in 1992. She obtained a Master of Science degree in education with a specialization in math at Queens College in 2003 and completed an advanced graduate certificate in educational leadership at Stony Brook University in 2009. 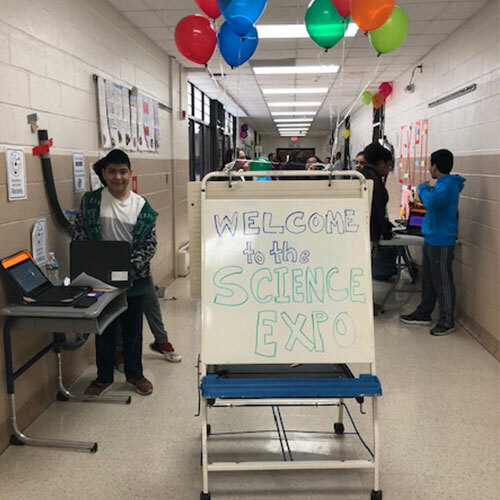 Mrs. Roethel has completed numerous educational workshops related to curriculum and improving instruction, including Columbia University Teacher’s College seminars. Prior to embarking on an administrative career, Mrs. Roethel worked as a sixth grade math teacher and fourth grade classroom teacher in Oyster Bay and as a math consultant to the Oyster Bay-East Norwich, Shoreham-Wading River and Hicksville school districts. 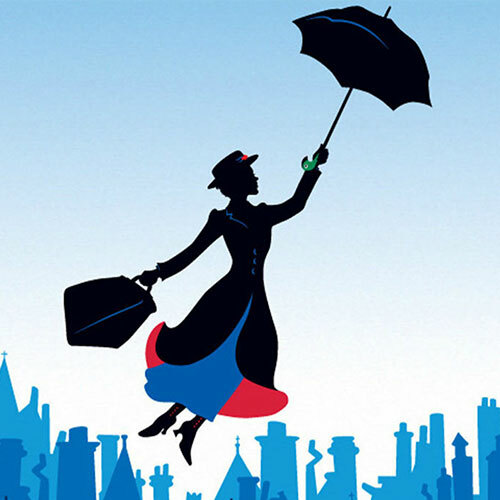 She was a fourth grade teacher in Volusia County, Florida for seven years before moving to New York. Mrs. Roethel and her husband, Guenther, a captain with JetBlue Airways, are the parents of three children; Kirsten, a senior, Hailey, a freshman and Tyler, a sixth grader. The longtime educator spends her weekends running her children around to their many activities. Mrs. Roethel is a member of the Association for Supervision and Curriculum Development. School starts at 8:45 a.m. and ends at 3:05 p.m. To ensure safety, we request that no students be on school grounds prior to 8:30 a.m. unless requested to attend an activity or extra help. If your child is not going to be in school must call 673-2039 to report an absence or lateness before 8:45 a.m. Students must bring an absence note upon their return. All students must be in class by 8:45am. Any student who arrives late to school must sign in at the Main Desk and receive a pass to class. Arriving late disrupts the learning going on in the class, and not only do you miss valuable information but others will as well. Cell phones are permitted prior to and following school hours. If a phone is seen or heard during school hours the student may receive a consequence. Please remember we cannot assume responsibility for the safekeeping of personal items. Lost articles of clothing are stored in the cafeteria. Jewelry and smaller items are stored in the main office. Children should periodically check the lost and found for missing items. After a reasonable time, unclaimed items will be donated to charity. It is extremely important to keep the line of communication from the school to the home open by seeing to it that messages are delivered to your parents/guardians. From time to time there will be important information that your parents/guardians must be made aware of. Please see to it that all notices are delivered to your parents promptly. Please update phone numbers and email addresses as important messages are shared through phone and email communication. Students are encouraged to dress in a manner appropriate to attending school. Hats are not permitted during the school day. Clothing, distracting to other students, may not be worn. Students with inappropriate clothing will be asked to call home for a change of clothes. The school building is closed to all unauthorized visitors. Those persons who have business to conduct in the school must state their business, sign the visitor’s register, and wear a visitor’s pass. In addition, proper identification must be presented. Students are not to be in the building, or on the school grounds, before or after school unless they are under the supervision of a teacher. The Huntington School District participates in the National School Lunch and Breakfast Program. Breakfast is available to students before school for $1.25. A menu is published and sent home each month. The cost of lunch is $2.00 (price is subject to change prior to September, 2015). Prepaid meal tickets can be purchased from the cafeteria. The recess period follows or precedes lunch for approximately 20 minutes each day. Recess will be outdoors whenever weather permits. Please send your child to school with weather appropriate clothing and proper footwear. Students will be kept in or not allowed to use equipment if not dressed appropriately for cold weather or not wearing sneakers. Exercise is crucial to the health of your child, therefore students will not be kept in from recess to make up work without permission from parents. Each November there is time set aside for teachers to discuss the progress of their students with their parents or guardians (see district calendar). During the conference, the first report card will be given. Each child’s progress, standardized test scores and special needs are discussed and explained. Parents should attend these conferences to find out how they and the school can work together to help their child succeed. Teachers and teams will always be available upon requests. There are four report cards given each year. The first report card is given at the November Parent-Teacher Conference. The other three report cards are sent home in January, April and June. Please feel free to contact your child’s teacher at any time if there is a problem or question. Do not feel you have to wait for the teacher to contact you or for the report card to ask how your child is progressing. If you would like to meet with all team teachers, please make a request. If a student does not feel well before leaving for school, they should be kept at home. If a student is in school and not feeling well, the school nurse should be seen. A student will be admitted to the Health Office with a pass from a classroom teacher. A student is not to go to the Health Office between periods, but should report to the next period class and obtain a pass from the teacher. Only in the case of an emergency will a student be admitted without a pass. If you are too ill to remain in school, and must leave school because of illness or injury, the nurse will contact your parent/guardian to pick you up. Any injury on the school bus, school grounds, or in the school building must be reported to the nurse as soon as possible. First aid will be administered as needed. Follow-up treatment of such injuries is the responsibility of the parent/guardian. Home injuries are not the responsibility of the school. Medication must be brought to school by a parent or guardian, in the original container, accompanied by a written request from the doctor indicating frequency and dosage of the prescribed medication for students who require medication. Doctors' notes are also required for all over-the counter medications. All medication must be left with the school nurse and used under her supervision. Annual screening for vision, hearing and scoliosis are completed by the nurse during the school year. The school nurse should be notified immediately about any child’s physical ailments. NYSDOE requires that all incoming 6th grade students have boosters of certain immunizations when they turn 11 years of age. All 6th graders must have 2 varicella, 1 TDAP, and possibly a 4th polio vaccination this school year 2015-2016. The nurse will notify you, by mail, as to which vaccination your child may need in order to be in compliance with the new State immunization requirements. If you have any questions concerning this matter, please don’t hesitate to contact Mrs. Scannello @ 631-673-2147. The safety and welfare of students on school buses is considered to be of utmost importance. Any act by a student or students that endangers the safety and welfare of others is forbidden. Illustrations of the above include smoking, disorderliness, fighting, horseplay or any act that might distract the attention of the bus driver while he or she is driving the vehicle. Students are reminded that the bus and bus stop are an extension of the school grounds, and all of the rules which are observed at school concerning behavior, respect for property, will be enforced. Be seated immediately and remain seated. You may not stand in the bus. Cooperate and follow the instructions of the bus driver. Do not throw anything out of the windows. Fighting on the bus will be dealt with severely. A violation of any of these rules is sufficient cause for the issuance of a report of misbehavior by the bus driver. The driver, in applying the rules fairly, can issue verbal warnings and assign seats prior to filing a written report. Disciplinary action resulting from the receipt of a written report shall be carried out by the building administrator and reported to transportation as well as to the Assistant Superintendent. Repeated or severe misbehavior may result in the suspension of privileges. Leave home early enough to arrive at the bus stop five minutes before the normal bus pick up time. Enter and leave the bus only when the door is fully open and never when the bus is in motion. Keep your lunch boxes, books, and athletic equipment out of the aisle. Assist in maintaining bus cleanliness by keeping your waste paper off the floor. Objects are not to be thrown in the bus or out of the windows. Avoid loud, boisterous talk or other noises or actions that might distract the driver. Conduct yourself on the bus as you would in school. Leave the bus promptly and in an orderly manner. Cross the road at least 10 feet in front of the school bus. Be respectful to your bus drivers. They have an important job, and need your help. **Written permission presented to the Woodhull Main Office for approval and school bus pass is required before a student may ride on a bus other than his or her regular bus or leave their bus at any stop other than their own. Use appropriate language in the cafeteria at all times. Be respectful to the cafeteria monitors. Pick up after myself and keep my area clean. Respond to any reasonable requests by administrators and teachers in a respectful manner. Refrain from fighting or causing others to fight in the cafeteria. Maintain proper decorum in the cafeteria and maintain normal level of speech. Arrive on time to lunch. Behave appropriately on the lunch line. Not ask other students for money during the lunch period. Not abuse any machine or other property in the cafeteria. Keep voices low in conversation with one another. No food or drink may be taken out of the cafeteria, nor eaten anywhere else in the school. **Due to food allergies, please do not share food with other students. Students are not permitted to bring in treats (homemade or store bought) to share to celebrate special occasions. Quiet, courteous, studious behavior is expected. It is expected that students care for the books they borrow, renew them when necessary and return them in a timely manner so that others may borrow them. Keep your space tidy; push chairs in when exiting; discard trash in the waste basket. No food or drinks in the library. In-school suspension is assigned to a student whose behavior warrants immediate removal from the general setting such as insubordination, or unacceptable conduct creating a disturbance of the educational process. Students who are assigned in-school suspension are responsible for obtaining the work for that school day, as well as the homework relative to the day’s work. Students will work quietly in the in-school suspension room and complete their work for the day. Out-of-school suspension may be assigned for serious infractions of school rules, as follows: repeated truancy, smoking, fighting, possession of alcohol or any controlled substance, false fire alarms, insubordination, abuse of a teacher (verbal or physical), extortion, possession of a weapon, or any conduct which otherwise endangers the safety, morals, health or welfare of oneself or others. 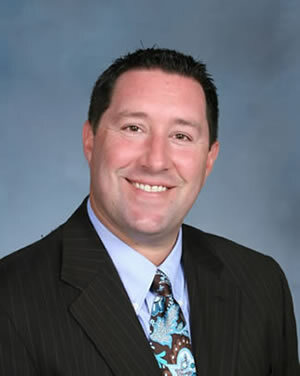 Parents are notified of out-of-school suspension. Students who develop a record of disciplinary referrals will be subject to a loss of privileges. The consequences will be determined by the types of disciplinary infractions that occur. Loss of privileges may include social probation, non-attendance on school trips and exclusion from a variety of school related activities.